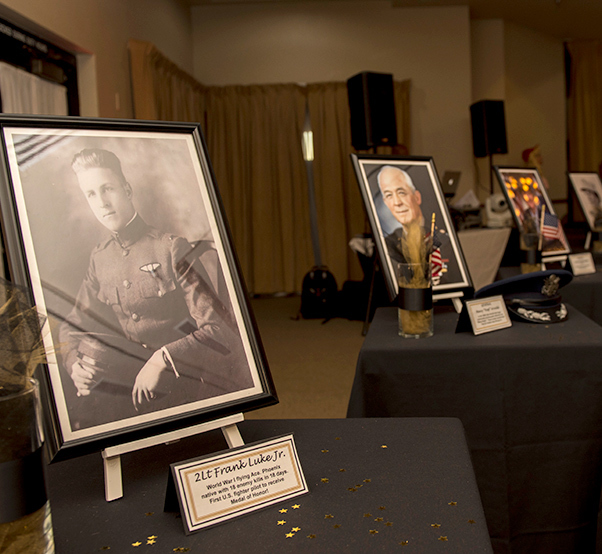 Portraits of Airmen are displayed during the 2018 Luke Spouses’ Dining-In event at Luke Air Force Base, Ariz., Nov. 2, 2018. 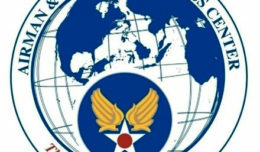 The portraits provided the spouses an opportunity to learn about various Air Force leaders and innovators. 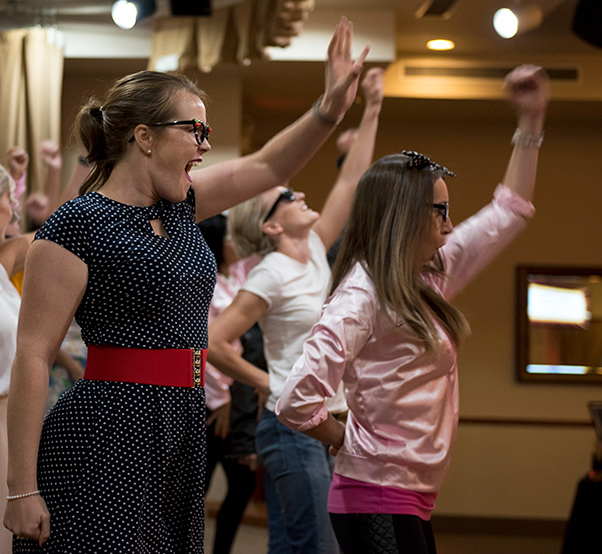 Military spouses perform a movie themed skit at the 2018 Luke Spouses’ Dining-In event at Luke Air Force Base, Ariz., Nov. 11, 2018. The spouses were challenged to decorate their own tables and performed movie themed skits for various awards throughout the evening. 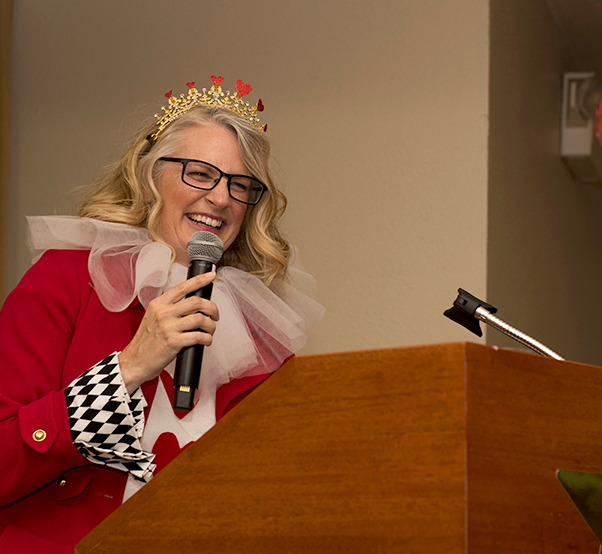 Kristie Canterbury speaks to military spouses during the 2018 Luke Spouses’ Dining-In event at Luke Air Force Base, Ariz., Nov. 11, 2018. The event highlighted military spouses providing them the opportunity to interact with each other through multiple group activities. 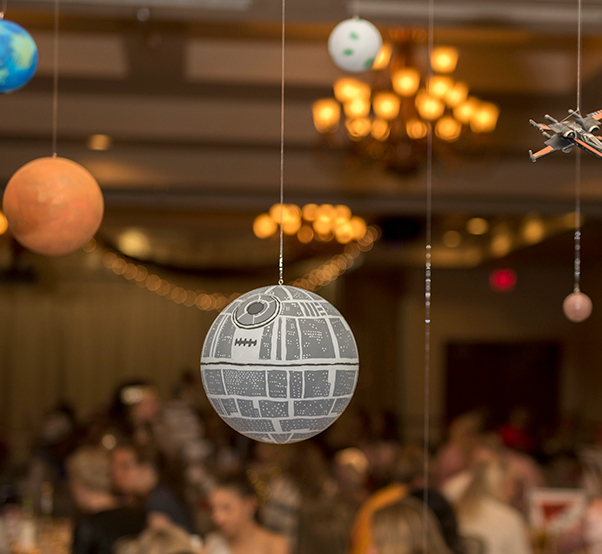 Ornaments hang from the ceiling during the 2018 Luke Spouses’ Dining-In event at Luke Air Force Base, Ariz., Nov. 2, 2018. The spouses were challenged to decorate their own tables and performed movie themed skits for various awards throughout the evening. Military spouses pose for a photo during the 2018 Luke Spouses’ Dining-In at Luke Air Force Base, Ariz., Nov 2, 2018. 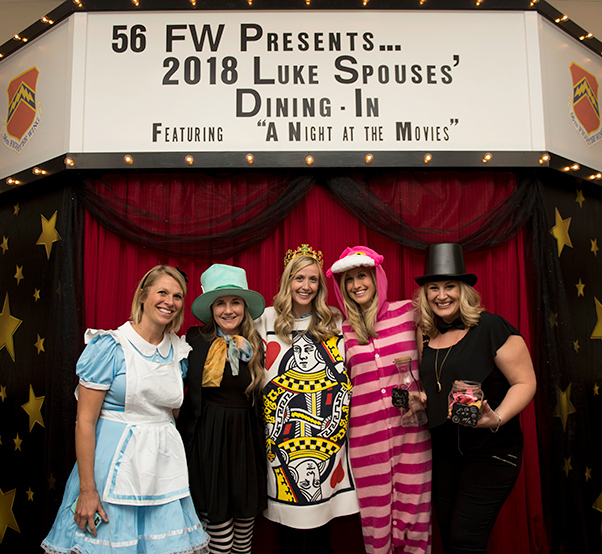 Military spouses dressed up in various costumes in spirit of the “A Night at the Movies” themed event. 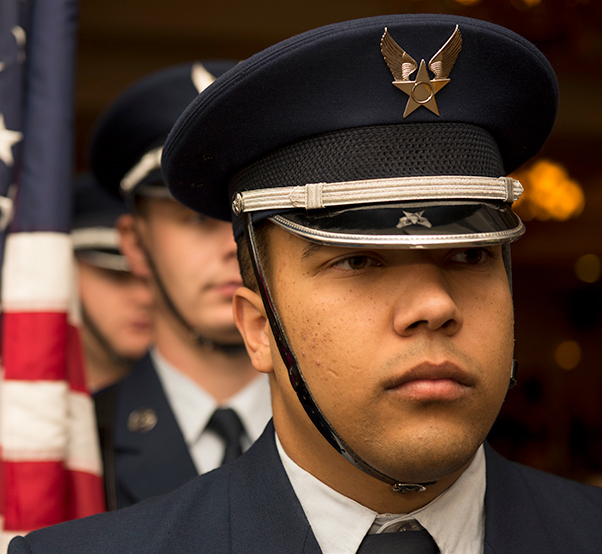 Members of the Luke Air Force Base Honor Guard prepare to present the colors during the 2018 Luke Spouses’ Dining-In at Luke Air Force Base, Ariz., Nov. 2, 2018. 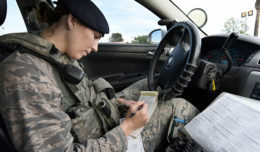 The event brought together spouses of active duty, reserve and retired military members providing them the opportunity to build comradery and esprit de corps.